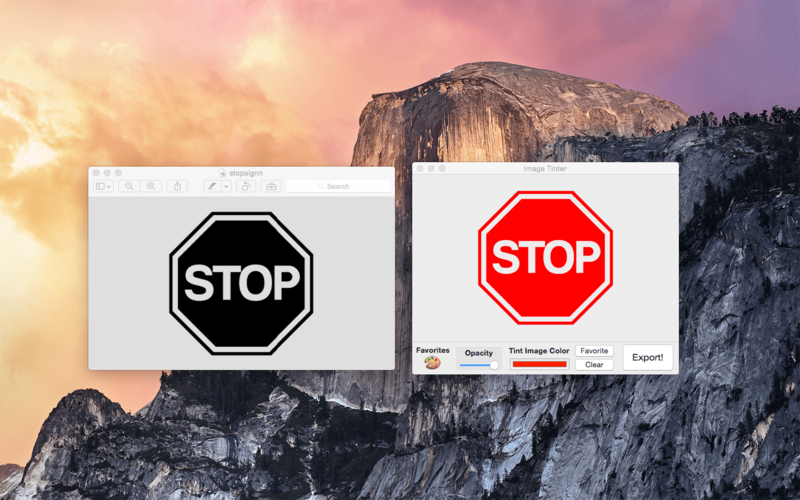 Image Tinter Released on the Mac App Store! 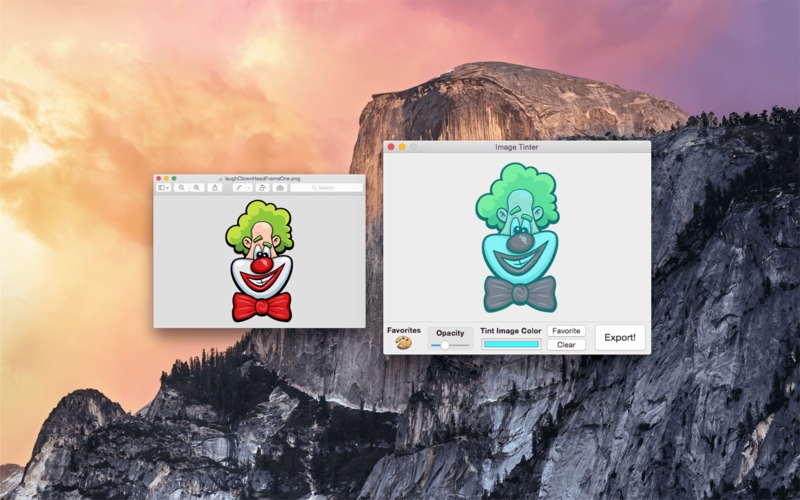 Image Tinter has been released on the Mac App Store! Image Tinter allows you to easily add a tint color to your images! All you have to do is drag and drop an image onto the window, select the color you wish to tint your image, and adjust the opacity level of the tint color. Image Tinter will apply the tint color over the opaque regions of your image. 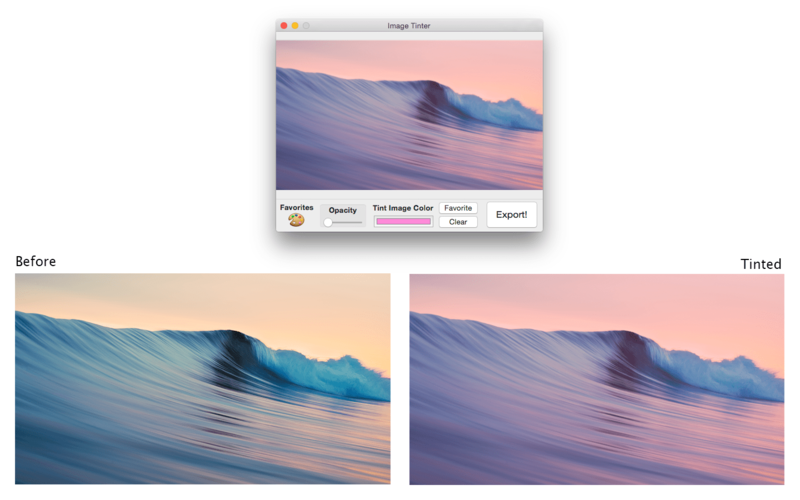 Image Tinter allows you to completely change the color of fully opaque icons and/or apply an awesome semi-transparent tint color overlay to your images! 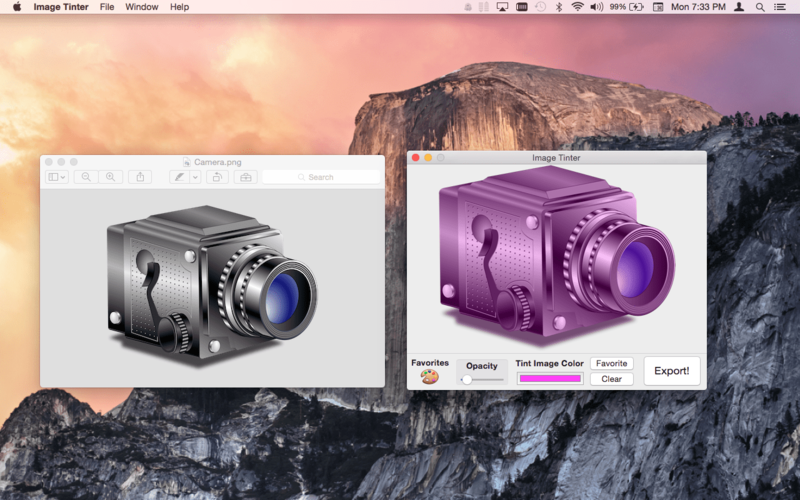 Tinting images has never been so easy! Practically every designer, photographer, and app developer needs to tint images at some point or another. We’ve all been lost in those image editors with thousands of buttons and ambiguous icons and not had the slightest clue what you actually need to do to apply a nice tint color to an image! Isn’t this supposed to be easy?! When you open a clunky image editor to tint an image, you are basically using a chainsaw to cut a steak. It’s not the best tool for the job! So what is the best tool for the job? Image Tinter. -Apply a tint color to your images! -Adjust the opacity level of the tint color by using the slider! Full opacity will completely overlay the opaque regions of your image with your selected tint color! You can use this to change the color of icons! You can also lower the opacity of the color to overlay images with a semi-transparent tint! -You can save your favorite tint colors in the “Favorite Colors” palette! Working on a project that has a certain color scheme? Save all your favorite colors to use on other images later! You won’t have to play with RGB sliders to get your colors back every time you launch the application! So what are you waiting for? Get Image Tinter now! Visual Attributed String Now Includes an OS X Action Extension! 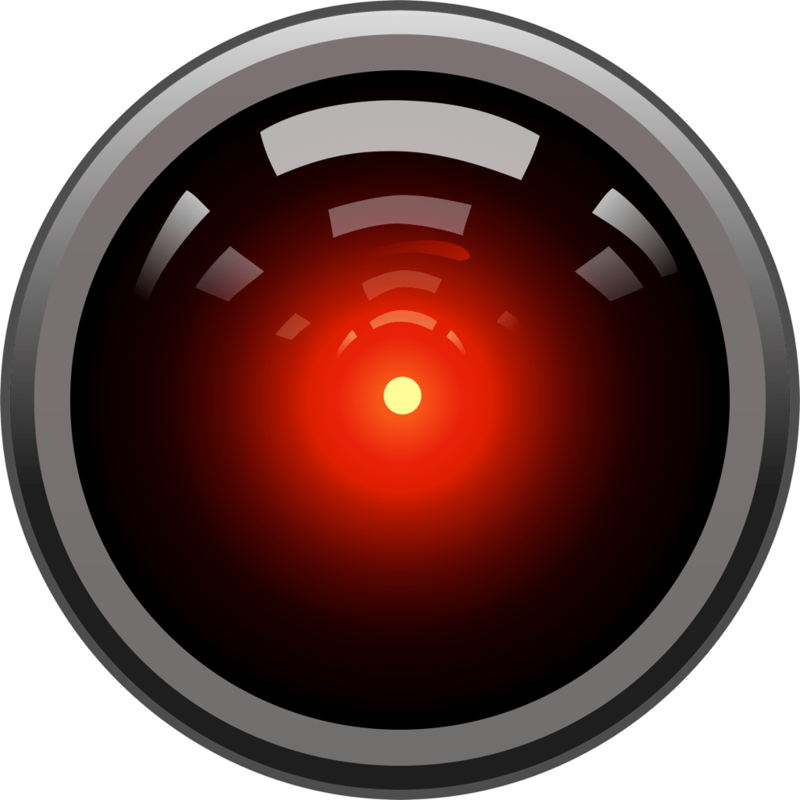 PDF Image Xtractor Released on the Mac App Store!